According to The Hill, the DNC raised $3.8 million for the past month, compared to the RNC's staggering $10.2 million -- a record low for the month of July for the Democrats, which they haven't hit since 2007, when the party raised $3.4 million. The lag in Democratic fundraising comes as a new blow to DNC chief Tom Perez's first six months as leader of the committee. In an interview with NBC News, Perez said the organization has "had a lot of rebuilding to do" in recent months. "We've already made a lot of down payments on the new DNC." DNC National Press Secretary Michael Tyler told CBS News in a statement, "While we're still focused on building up our team and hiring fundraising staff, we're witnessing robust grassroots enthusiasm with a majority of our contributions coming from small-dollar contributions." Tyler added, "As we staff up and continue to out-place all past off-year online fundraising efforts, we're confident that our team will raise the resources needed as we head into 2018 and beyond." Meanwhile, RNC Spokesman Michael Ahrens told CBS News that the Republicans' strong fundraising is a "direct result of the grassroots support for President Trump and the hard work of Chairwoman Ronna McDaniel." "What you're seeing at the DNC is what happens when you have a party that has no inspiring leaders, isn't unified, and has no message," said Ahrens. The numbers also come on the heels of the DNC's worst April since 2009, according to the Washington Examiner, and an additional $200,000 in debt in June. The RNC also credits small-dollar donations for its success this year. Donations of under $200 added up to $33 million, compared to the DNC's $22 million raised in the first half of 2017. The Hill reported that overall, the DNC raised $38.2 million in the first half of the year, compared with the RNC's $75.4 million haul during that period — a $37.2 million difference. "In the first six months of 2017, the RNC has raised more online than it ever has in an entire year, aside from 2008," adds Ahren. Comparing small donations in year-to-date figures, the RNC is also outraising the DNC -- with $86.5 million to the DNC's $41.9 million. 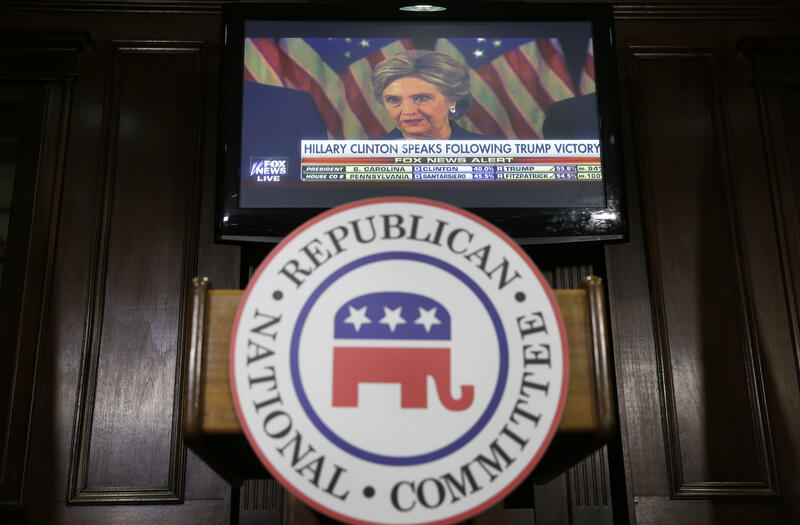 The RNC also trumped its counterpart with over $47 million in cash on hand and no debt. The DNC meanwhile, has $6.9 million in cash on hand, but a current debt of $3.4 million.